Mission: Fill in the players involved in each crown using the comment function. Go ahead an add yourselves and others you played with. ONLY the province crown winners go on the province crown tab, not kd mates. I'll consolidate player lists and clean it up occasionally. I know a guy gunning for Avian province honour crown. I'll put him in touch if he wins. WoL vs Battlefields history lesson. Utopia once had too many players to be able to run on a single server smoothly. Therefore two servers were made and the rules only allowed a player to play on one of them. Age 8 and 9, kingdoms were randomly assigned. There was a problem though with well organized kingdoms bashing weak kingdoms so for Age 10, all of the well performing kingdoms were placed on the Battlefields server and all of the not so well performing kingdoms were placed on the WoL server. It remained this way in subsequent ages, with the worst performing Battlefields kingdoms being demoted to WoL and the best performing WoL kingdoms being promoted to Battlefields. It was the same concept as the English Football league with the best performing teams in the Premier league based on the previous season's performance. Of course in Utopia, there is a wider discrepancy between the best kingdoms and the worst kingdoms than the difference between the Premier league and non Premier League professional soccer teams. Therefore, a closer example would be if you included all the amateur and youth soccer teams as well in the system and most of the professional teams being on the Battlefields league and the WoL league being mostly amature teams playing for fun. Then there were some professional level players who thought it'd be a hoot to bash noobs in the amature WoL league by scamming the system to script a team onto the amature server for an age while still playing on their real professional teams on the battlefields server. The team of pros trashed the noobs on the amature server while barely trying and triple crowned. A few other teams also scammed the system to unfairly join/stay on the amature server, but for the most part, the professional teams stayed on Battlefields and the casual teams stayed on WoL. To change analogies, comparing crowns on the WoL and Bettlefields server is like comparing winning the world series to winning a recreational softball tournament. Sure, the Yankees could join the recreational softball league for the fun of smashing amatures there to drink beer, and the Yankees would still be a good team even in the amature softball league, but winning the softball tournament would not be comparable to winning the World Series. The best few WoL kingdoms generally could compete with Battlefields kingdoms, but they scammed the system to stay on the casual server and therefore didn't face even close to the same competition. I could give an example of a kingdom I knew who was trashed on battlefields by kingdom after kingdom until they were in the bottom 10% of the battlefields server and truely one of the worst kingdoms on the server. The next age they were demoted to WoL and without any significant changes in the kingdom they were competing for #1 on WoL. By Age 30, the player population had dropped enough and computer technology improved enough that the could now host all kingdoms on one server again without it being too slow. Since this age had both WoL and Battlefields together, it's useful to see how the WoL kingdoms did when combined. The #1 WoL kingdom, DropBearz, did not place in the top 50 combined (didn't compete?). The #2 WoL kingdom finished #35 the next age on the combined server. The #3 WoL kingdom finished #37 the next age when combined. The WoL #7 and #11 finishers were the only two other WoL top 50 kingdoms that I could find on the combined server top 50 the next age. Therefore, it looks like only 4 of the top 50 WoL kingdoms managed to finish in the top 50 of the combined server with none of them making the top 10. No legitimate Utopia competitive crown list counts Genesis server wins, Utopia clone wins, Starcraft wins, or WoL server wins from ages 10-29. All of those may be achievements, but they are separate from competitive server crowns. A "crown list" is already a poor oversimplification of player and kingdom success, but it loses all value completely if you start counting non competitive servers like WoL or Genesis. If Age 29 is WoL, and Age 30 is combined, then Dropbearz(1), PARADOX(2), and Fratzia(7) all charted respectably on the combined server at 4th, 15th and 13th. In age 31 they also did well at 5th, 9th, and 35th. Excellent analogies. Also WoL kingdoms tended to have the least activity and WoL was more of a "casual" server. Drop in Uto. No legitimate Utopia competitive crown list counts ... or WoL server wins from ages 10-29. All of those may be achievements, but they are separate from competitive server crowns. A "crown list" is already a poor oversimplification of player and kingdom success, but it loses all value completely if you start counting non competitive servers like WoL or Genesis. 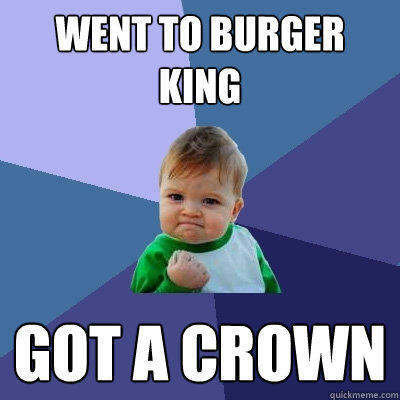 Crowns is crowns! Choosing to play on the easier server is just good strategy imo. This reminded me of another reason why its so much more difficult to find players these days: so many used to multi in (at least) two kingdoms during the 30s. But without xlogging not only are people required to be more active, they also can't multi in active kds. You better make sure I don't get it!